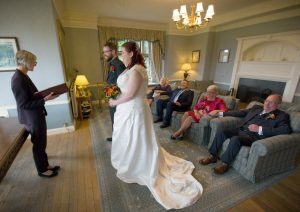 One of my smallest weddings; Kirsty & Simon. This was one of my smallest and most intimate of weddings, with just both sets of parents present for the ceremony, registrar, celebrant and photographer! 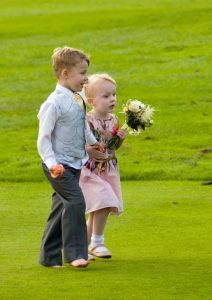 A lovely occasion however for Kirsty & Simon and set in a fine location of Cragwood Hotel on Windermere. Sometimes less is more! A moment of fun outside Lancaster’s Holiday Inn. A good wedding photographer needs to keep his eyes peeled for anything a bit different or ‘cute’ especially where children are involved. 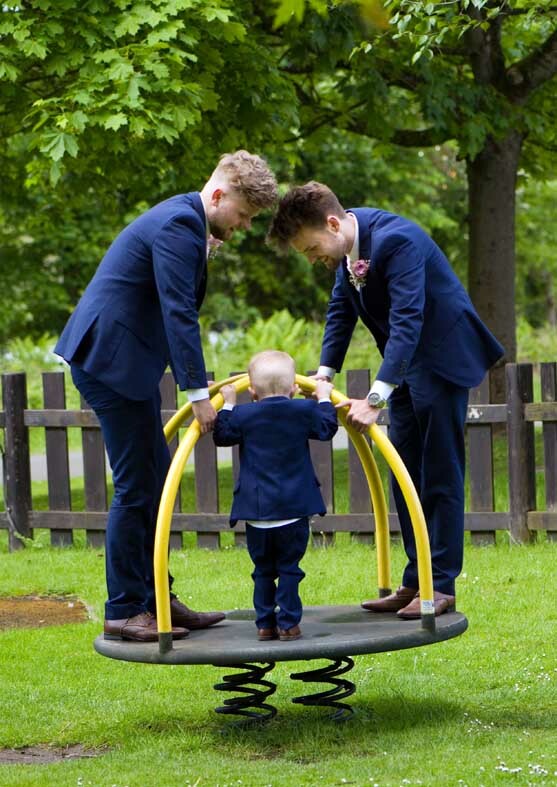 Ushers and page boy on a roundabout outside Lancaster’s Holiday Inn at Rebecca & Liam’s big day back in May. Master Of Ceremonies Morecambe MC waits for the bride & groom outside Morecambe Golf Club. 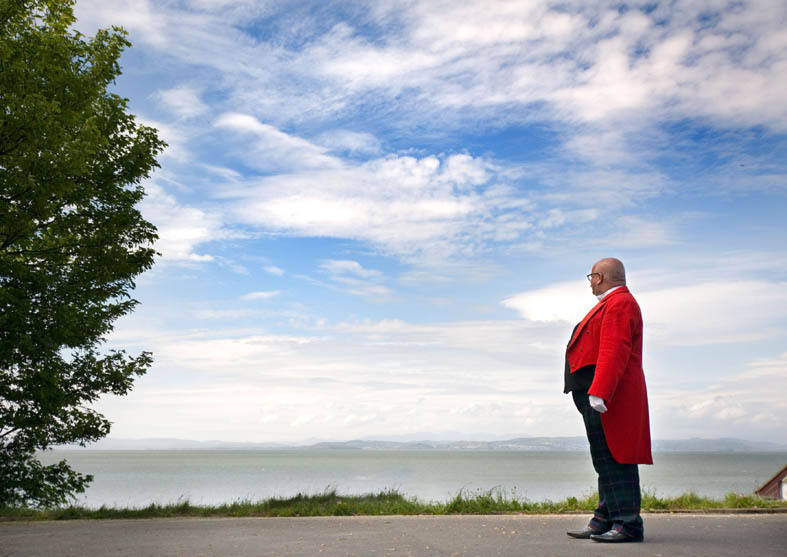 Morecambe MC Michael Glenn is a familiar encounter for me at local weddings and he made for an fine spectacle outside Morecambe Golf Club, where there’s a great view across The Bay. A length of rope placed ready for the play in the park’s next performance was made good use of for a fun photo of Fabio and Federica’s wedding at Ashton Memorial in July. 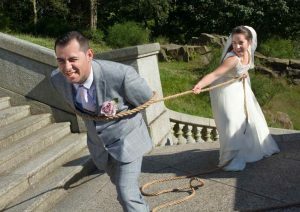 Few wedding venues could be more striking (and ideal for photographers) than Lancaster’s Ashton Memorial in the delightful Williamson Park. A spot of digital trickery. 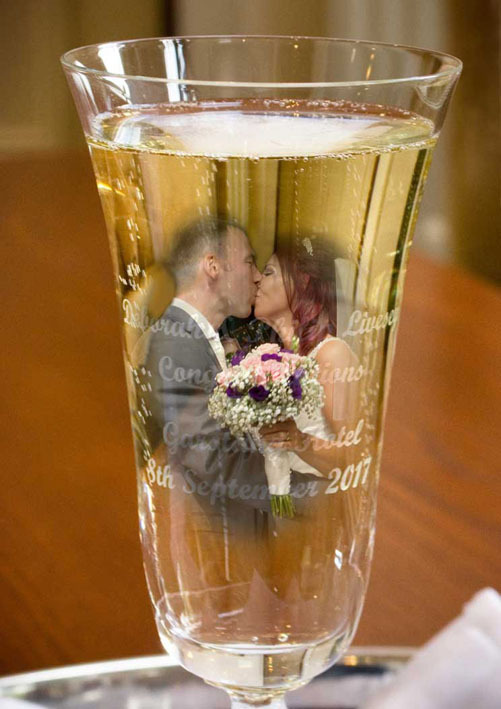 A tad ‘corny’ perhaps and not to everyone’s taste, but I’m happy to oblige with the ‘classic couple in the glass of champagne shot’ on request. Yvonne & Chris take to the bouncy castle. 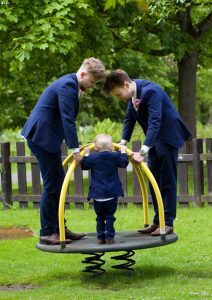 Bouncy castles are becoming a familiar site at weddings nowadays and strictly not just for the kids! 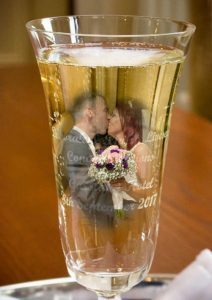 Yvonne and Chris entered into the spirit of the occasion and made another fun photo at their wedding in August. For this wedding I traveled a little further than my regular North Lancashire, Morecambe Bay, Fylde and South Lakes patch as it was in North Wales; a delightful spot near Denbigh. Thank goodness for sat nav! At the same wedding, there was lots of interesting and unusual things to snap, including some birds of prey, on hand (literally) to be admired. Age is no barrier on the dance floor. When it comes to the dancing at the evening reception it’s lovely to see age no barrier and everyone having fun. Sparklers round off the evening at Ashton & Lea Golf Club, Preston. Kirsty & Simon’s wedding had plenty of fizz and not just from the champagne; they lit some sparklers to round off their evening at this Preston wedding in November. After all it was (almost) 5th November. 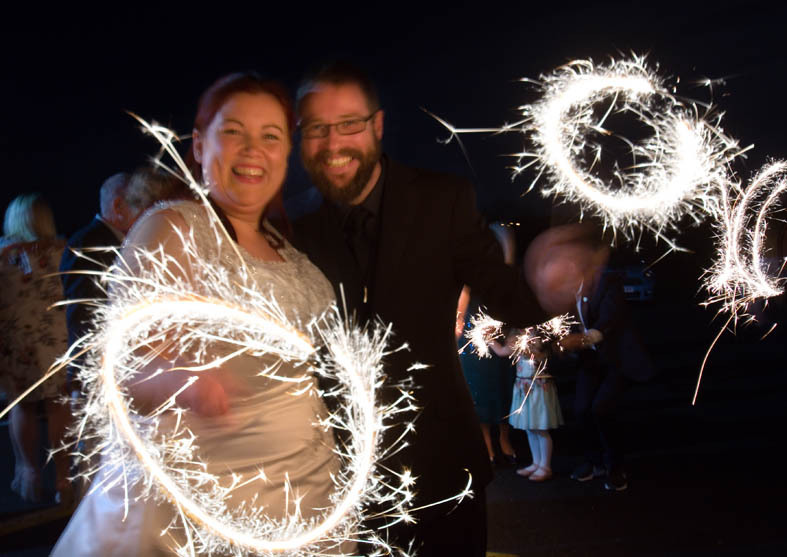 That wraps up my review of a busy year for weddings. 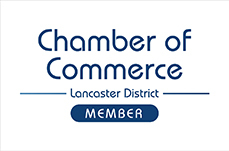 Soon it will be wedding fayre season and my first one will be Garstang Country Hotel‘s excellent event on 25th February.